Cozy little gravel cove, formed by the flow of the Hell Canyon (barranc de l'Infern) to the sea, close to Moraig Cove. Being situated between the vertical walls of the cliffs and close to the impressive Morro Falqui (a sea wall over a hundred meters above the sea level), this cove stands out for the clarity of its water and the feeling of ease that it conveys. The access to the cove is rather difficult. No road access. It can only be accessed by sea or through a path following the course of the canyon (Testos Route or Ruta dels Testos). Beach with an irregular outline of varying width, with sandy areas and pebbles. It is possibly one of the least visited beaches; in fact, it is extremely peaceful, making it ideal for fishing from the jetty, since the beach is not suitable for bathing. The town's campsite is in this area. 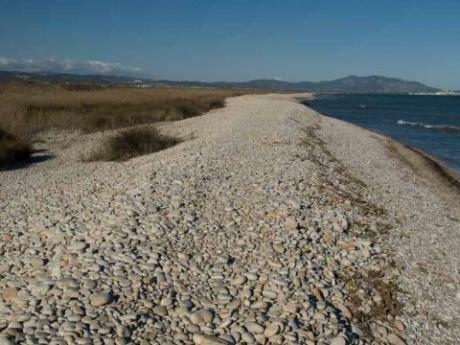 Located within the La Albufera Natural Park, La Garrofera beach boasts a kilometre and a half of fine sand and idyllic scenery sheltered by sand dunes - the perfect place to relax outdoors and enjoy the warm waters of the Mediterranean. 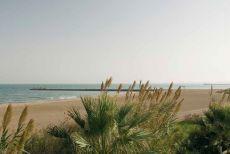 Its excellent location between the magnificent beaches of El Saler to the north and La Devesa to the south make it a privileged natural enclave just a few kilometres from the city of Valencia. 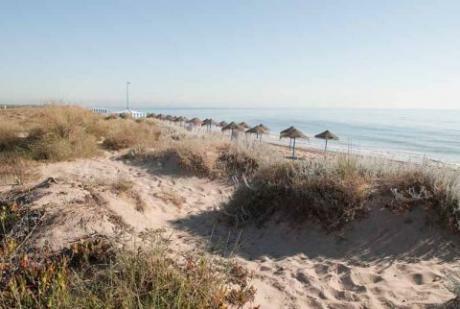 The first 800 metres of El Saler beach is reserved for naturists. 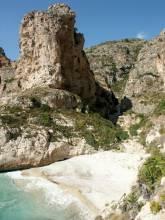 Barranc d’Aigües beach is a natural beach of stones located nearby a beautiful protected natural area, the Lloma de Reixes, at the foot of the Lloma de Reixes Watchtower. Located between the Playa Centre and the Playa dels Vivers, its principal characteristic are the Casas de la Babilònia, small chalets that overlook the beach, many of them are adorned with beautiful tiles from Manises. A small and inviting cove used as naturist beach. The tonalities of its waters are surprisingly beautiful. It is located at the end of an area known as ‘Los Rotas’ to reach the cove there is a narrow stairway descending a steep slope. 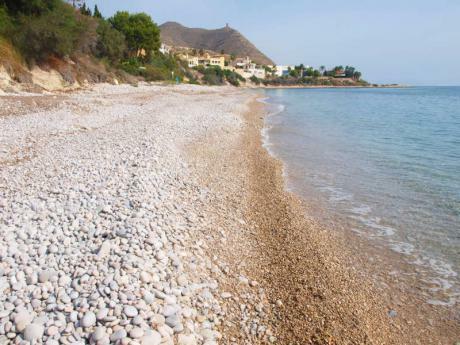 Open beach of thick sand and boulders sheltered by a dune chain with abundant Mediterranean vegetation giving its environment a very natural aspect. 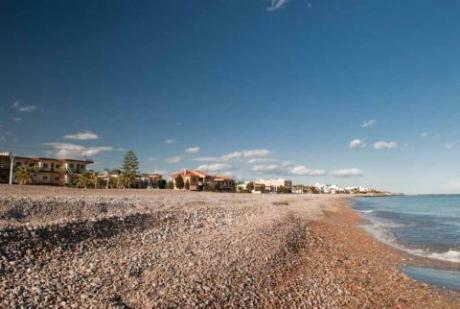 Mixture of fine sand and pebbles, the smallest beach on the town's stretch of coastline. This beach has sports facilities and other services so that visitors can really enjoy its clean beaches. This is a long virgin beach backed by the major wetlands making up the El Prat de Cabanes-Torreblanca Nature Park. The fine white sand gives way to gravel, with the Quartell Vell area being very popular with nudists. Large and wide fine sand beach merging with another smaller virgin zone formed by gravel and boulders. Its width and the lack of dikes or breakwaters make its waters to be continuously moving. It has several services as well as open-air bars on its own sand.